With the succes of the film Albert Nobbs (2012), George Moore has re-entered the public consciousness. This collection provides a taste of what George Moore has to offer a modern reader. With the success of the film Albert Nobbs (2012), George Moore has re-entered the public consciousness, and interest in his life and work has expanded beyond the confines of academics and lovers of literature. 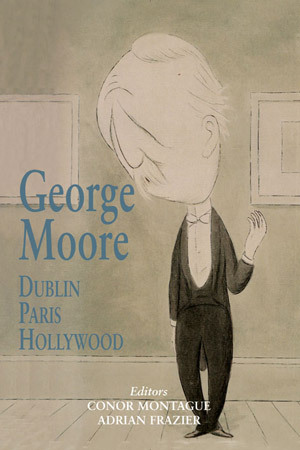 George Moore was all one would ask for in a man of letters and is a literary giant. An Irish Catholic absentee landlord self-educated within the Parisian cafe culture of the 1870s, Moore was friend to the Impressionists, disciple to Zola, preacher for literary naturalism, self-proclaimed messiah to the Irish revival, and revelatory satirist of those among whom he practiced his vocation. Moore was courageous, innovative, controversial and iconoclastic. His candour and shamelessness are as refreshing now as they were in his era. As well as contributing to an ever-expanding Moore scholarship, this collection provides a taste of what George Moore has to offer a modern reader. Conor Montague is a graduate of the NUIG MA Writing and has published in the fields of fiction, non-fiction and theatre. Professor Adrian Frazier is the author of Behind the Scenes: Yeats, Horniman and the Struggle for the Abbey Theatre; George Moore 1852-1933 and Hollywood Irish: John Ford, Abbey Actors and the Irish Revival in Hollywood.